Last weekend I noted that the ongoing presidential primary between Sanders and Clinton is benefiting Democrats in California. That’s not just because of increased voter registration, but more importantly because of California’s awful top-two primary system. To recap, in 2010 California voters enacted Proposition 14, which eliminated partisan primaries in all but the presidential race. What this means is that in every single race from governor to congressmember to assemblymember, candidates of all parties are jumbled together on a single primary ballot. Candidates are not even required to list a party affiliation on the ballot. The top two vote getters in the primary–even if they’re both from the same party–then advance to the general election. This year, the congressional district with the biggest danger of repeating that phenomenon is California’s 24th (where I happen live.) With Democratic congresswoman Lois Capps retiring, the primary race is between four Democrats and three Republicans. Of these, three of the Democrats and two of the Republicans are what we might call serious candidates with actual campaigns. Among the Democrats, the one with by far the most local support from both the progressive and establishment wings is 1st district supervisor Salud Carbajal. None of the other three Democrats in the race are likely to approach his vote total. However, due to low overall June turnout (especially from key liberal constituencies) and the vote split among Democrats, it is entirely possible that the two leading Republicans could receive more votes and advance to the general election in this majority Democratic district. 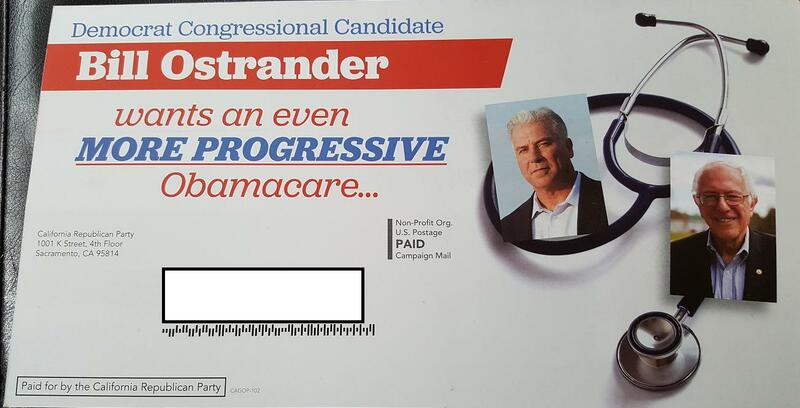 To be clear, these are ads targeted at liberal Democratic voters, pretending to hit the non-frontrunning Dems for being too liberal (even when they’re actually more conservative than the frontrunner.) All so that they can game the jungle primary so that no Democrat will even appear on the November ballot. This is dirty campaigning at its worst. It’s also one more reason among many that the top-two primary needs to be repealed in California, and should certainly not be replicated in other states.